Tamp head is made to size. 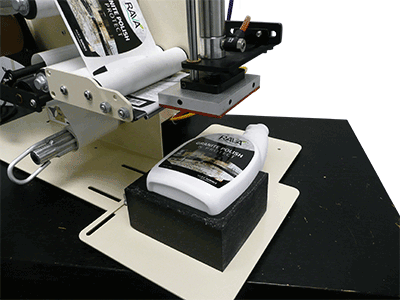 This very affordable applicator provides a reliable, industrial grade labeling system that is simple to operate. Its design and operation draws on over 30 years of dedicated label dispenser experience. 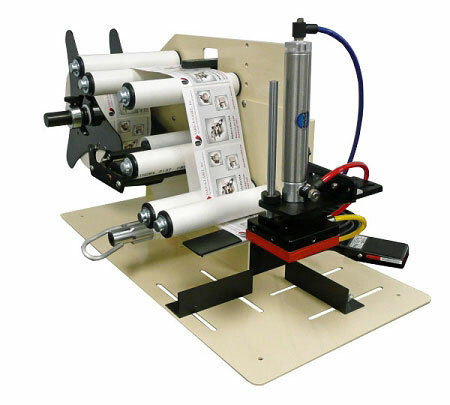 Tamp label applicators allow for exact placement of your labels on to a wide variety of products and shapes. 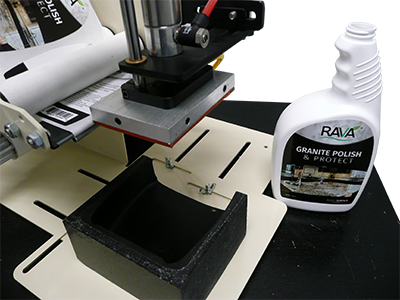 There are optional jigs available to hold products such as oblong, flat-sided spray bottles in position for better placement accuracy. The jig is a mold / negative casting of your product. If an optional jig is required for your products, we will need 3 or 4 samples of the container and a roll of labels forwarded to the factory. The TAL-3100T also uses a tamp head to hold and carry the label to the item being labeled. The tamp head is made according to the size of your label. We recommend putting a note with your order stating the size of your label. Need to print date or lot codes on the labels as they are dispensed? 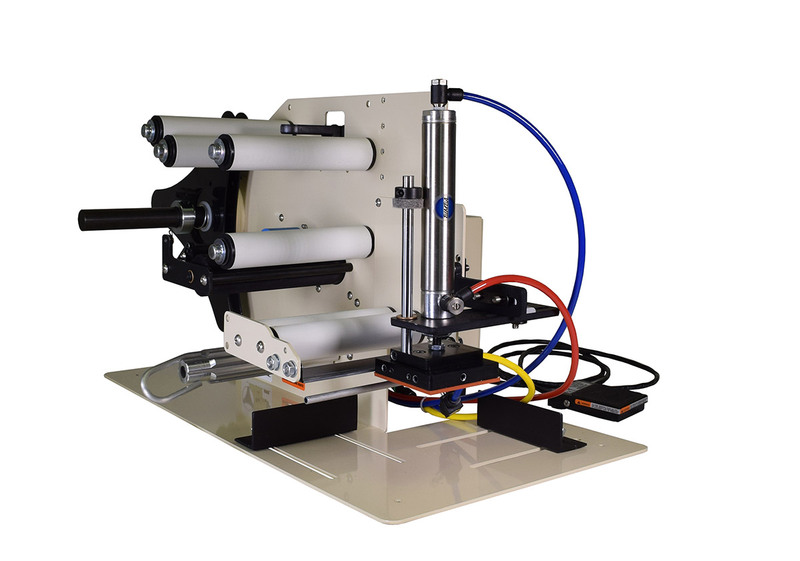 We now offer the MSSC Smart Jet Ink Jet printer and mount it to the tamp dispenser and print on labels as they are dispensed. Call for more details. Need a pdf brochure? Click here. Core Size: 1 or 3"
Owners Set Up Instructions Manual in pdf format. Click here. We were doing top and bottom at a rate of 10 per minute. Speeds are usually based on size of label, travel distance of the plunger, and how quick products can be moved.